Land, take 1: We signed the contract for our first lot and by the end of the feasibility period, everything looked good. We thought we were good to go, then SURPRISE! - two weeks before closing potentially catastrophic soil problems were discovered and we had to completely scrap it. It was super disappointing but saved us from what could have turned into a nightmare. 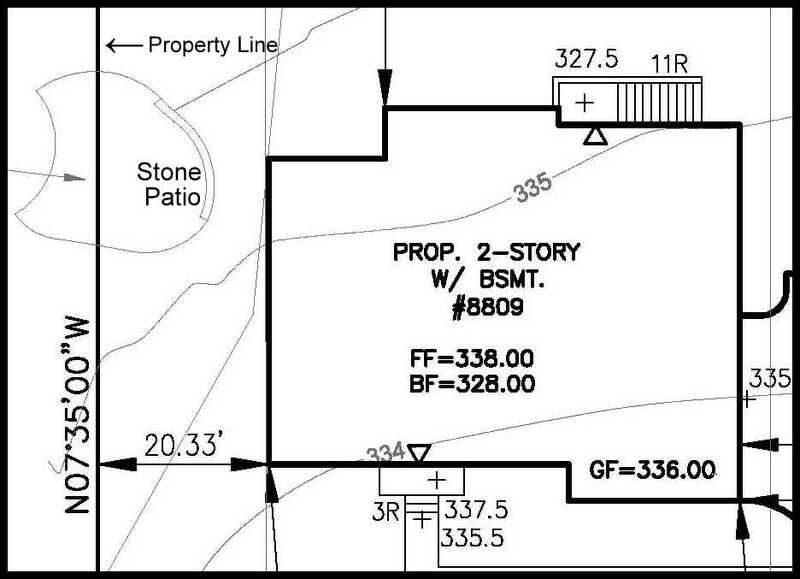 Easements are expensive: Even though our property had 'public water and sewer available', apparently that doesn't necessarily mean it's right at the lot. We found out we needed to get an easement to run the sewer line across a neighbor's lot to hook up to it. In addition to the regular sewer tap fee of about $7500, we found out we were looking at an additional $15K to run it though the neighbor's lot. We were not too happy but factored this extra cost into our loan. But sometimes easements aren't expensive: More recently, we found out that we shouldn't need to pay the extra $15K easement fee after all. Bryan talked to a guy from the county who said that the developer already paid the needed fees for the spot we're tapping. I don't want to jinx it, but this one could actually be a good surprise for us if it turns out to be accurate. 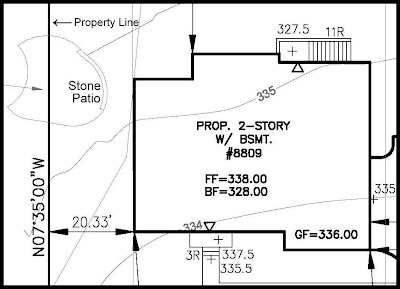 Plans change: I mentioned before that I was excited about our long backyard, but unfortunately, once our inital grading plan was rejected by the county, we found out that we have to move the house back further on the lot so that the house is situated more in the middle. Kind of a bummer, but not too big of a deal - we'll still have plenty of space in the back. We had been warned that there would be plenty of surprises for us in this process, and I'm sure there will be more to come (but hopefully nothing major!). I'll feel a lot less anxious once the site work is over and the house is actually going up! They were fine about it - I think they were upset at the situation but realized it wasn't our fault. I was very nervous to go over there though!! Thanks for stopping by my blog and for your comments! !